1970's Double breasted Unisex Cape. 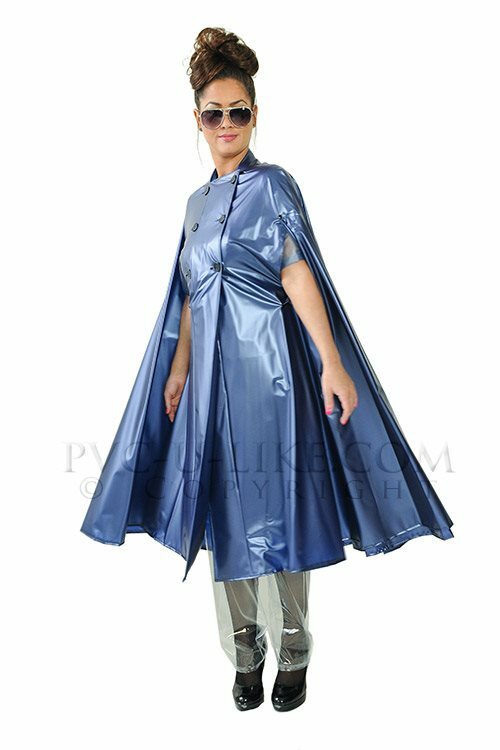 This very stylish cape has a vary generous cut for a fully flowing cape, small stand up collar and six double breasted welded PVC buttons. It has covered side slits for arms and sewn hem for that designer look. 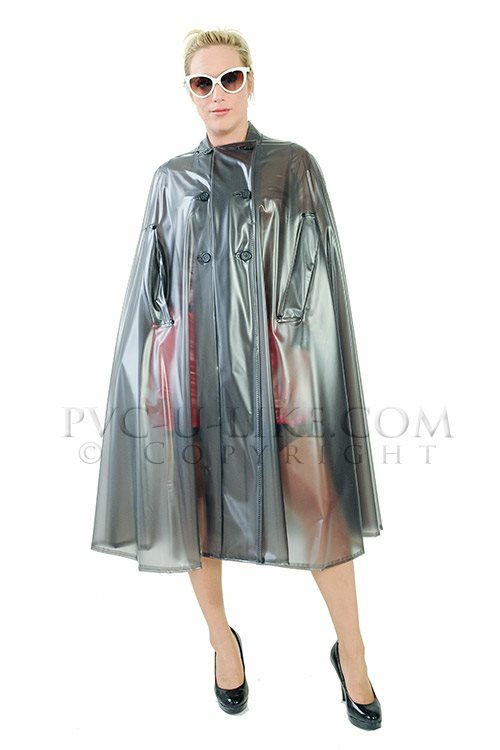 The standard cape is ladies, use the drop down option for Gents fit. Walks in rainy suburbia will never be the same. Length approx 45"